Ada and her younger brother Jamie live in London in a tiny apartment with a mother who is always angry. Ada has a club foot, and she has never seen a doctor, so now that she's eleven (probably, since she never celebrates a birthday), she can't walk or go anywhere. She's supposed to keep Jamie out of trouble, but he just runs into the street, away from the other boys, and away from her. Ada has no friends, and when she is punished, her mother locks her inside a cabinet, where cockroaches crawl over her. Determined to go somewhere some day, Ada teaches herself to walk inside her apartment, even though her foot bleeds from the effort. On the day the British government rounds up children to send them to the countryside in case the Germans bomb the city, their mother thinks Jamie is the only one worth saving, but Ada makes her way to the line of children, too. Everything from that point is new to Ada - the sights, the other people, the social expectations, the vocabulary. When Ada and Jamie are matched with a woman named Susan, they are reluctant to trust her motives or advice. But when Ada makes a friend and learns to ride a pony, despite her club foot, her world becomes a little kinder, and she begins to suspect that she might have some value, after all. This is an outstanding book. Everyone loves to root for an underdog who is unstoppable, even when she gets cranky and makes bad decisions around people who love her. The abuse Ada and her brother suffer is never named as such - but it is delivered in the same straightforward way as their poverty. When they arrive at Susan's, Susan is facing her own demons - her partner has recently passed away, and her parents won't have anything to do with her. The trust issues that Ada faces are so authentic, and Susan is also imperfect and somewhat cranky, so that you can't help but relate and cheer them on. Ada's strength and determination are truly inspiring. The World War II history is woven naturally into the story, but the characters always come first. Readers with no interest in the war will probably come away with a new understanding of the time period, and history buffs will enjoy the well-researched details. The second book opens just as Ada is preparing to have surgery on her club foot. While Jamie is fully trusting of Susan and calls her "Mum," Ada rebels at this idea. Christmas celebrations are still traumatic for Ada, who can never get her mother's angry criticisms and neglect out of her mind, especially when she receives kindness from others. As the war worsens, the grand Lady Thorton lends her house to the war effort and moves in to Susan's humbler abode with the children, and friction ensues when Lord Thorton unexpectedly brings a Jewish German girl to live with them, too. Since Jonathan - Lady Thorton's son and Ada's friend Maggie's older brother - is off fighting the Germans, the German girl Ruth is highly suspect, and subjected to unjust assumptions on the part of Ada, Jamie, and Lady Thorton. Once again, the author's gift with marrying historical details into a character-driven story is impressive and results in a page-turning narrative. Readers can empathize with Ada, who is not magically instantly cured after years with her abusive mother - she struggles - not understanding vocabulary or traditions that other girls her age take for granted, and who also has a difficult time trusting Susan, who has only ever showed her kindness. She is also reluctant to give up her role as Jamie's primary caretaker, even while she celebrates her freedom with her healing foot and new ability to move. 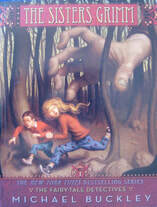 Other characters are also flawed and sympathetic - from Maggie, stuck at boarding school and still feeling lonely, to Ruth, who worries about her mother detained at a British internment camp, and to Lady Thorton, who is worried about her soldier son, judgmental of Ruth, and who is not always the best housekeeper in lean times of war. This is an excellent sequel.
" ' Don't worry,' she said, almost like she cared about me. 'They're wrong. We'll find another way. Stupid people couldn't take care of their brother the way you do. Stupid people aren't half as brave as you. They're not half as strong.' "